Controlling microbial growth is important in many fields but the degree of acceptable microbial levels can be quite different. Controlling microbial growth is important in the medical field, pharmaceutical and biotechnology industries, academic research, and food industry. The degree of acceptable microbial presence can differ based on the circumstances. Sterilization as a definition means that all life was terminated, whereas sanitization and disinfection terminates selectively and partially. Chemical agents that can eliminate or suppress microbial life are separated in different groups based on their use. The major groups are disinfectants, antiseptics, and antibiotics. Antibacterials are divided into two broad groups according to their biological effect on microorganisms: bactericidal agents kill bacteria, and bacteriostatic agents slow down or stall bacterial growth. sterilization: Any process that eliminates or kills all forms of microbial life present on a surface, solution, or solid compound. microbicides: Compounds or substances whose purpose is to reduce the infectivity of microbes, such as viruses or bacteria. parenteral: Administered by some means other than oral intake, particularly intravenously or by injection. Ever since microbes were shown to cause diseases, people have invented different techniques to control their spread. Controlling microbial growth is important in the medical field, pharmaceutical and biotechnology industries, academic research, and food industry. Each antimicrobial substance or agent achieves a different level of microbial elimination by a certain mechanism. Sterilization (or sterilisation ) is a term referring to any process that eliminates (removes) or kills all forms of microbial life, including transmissible agents (such as fungi, bacteria, viruses, and spore forms) present on a surface, contained in a fluid, in medication, or in a compound. Sterilization can be achieved by applying the proper combinations of heat, chemicals, irradiation, high pressure, and filtration. Chemical agents that can eliminate or suppress microbial life are separated in different groups based on their use. Disinfectants are substances that are applied to non-living objects to destroy microorganisms that are living on them. Disinfection does not necessarily kill all microorganisms, especially resistant bacterial spores, so it is less effective than sterilisation. Disinfectants are different from other antimicrobial agents such as antibiotics, which destroy microorganisms within the body. Disinfectants are also different from biocides, as these are intended to destroy all forms of life, not just microorganisms. Disinfectants work by destroying the cell wall of microbes or interfering with their metabolism. Antiseptics are antimicrobial substances that are applied to living tissue or skin to reduce the possibility of infection, sepsis, or putrefaction. Antiseptics are generally distinguished from antibiotics by the latter’s ability to be transported through the lymphatic system to destroy bacteria within the body, and from disinfectants, which destroy microorganisms found on non-living objects. The term antibiotic was first used in 1942 by Selman Waksman and his collaborators in journal articles to describe any substance produced by a microorganism that is antagonistic to the growth of other microorganisms in high dilution. This definition excluded substances that kill bacteria, but are not produced by microorganisms (such as gastric juices and hydrogen peroxide). It also excluded synthetic antibacterial compounds such as the sulfonamides. With advances in medicinal chemistry, most of today’s antibacterials chemically are semisynthetic modifications of various natural compounds. Many antibacterial compounds are classified on the basis of chemical or biosynthetic origin into natural, semisynthetic, and synthetic. Another classification system is based on biological activity. In this classification, antibacterials are divided into two broad groups according to their biological effect on microorganisms: bactericidal agents kill bacteria, andbacteriostatic agents slow down or stall bacterial growth. Microbicides which destroy virus particles are called viricides or antivirals. 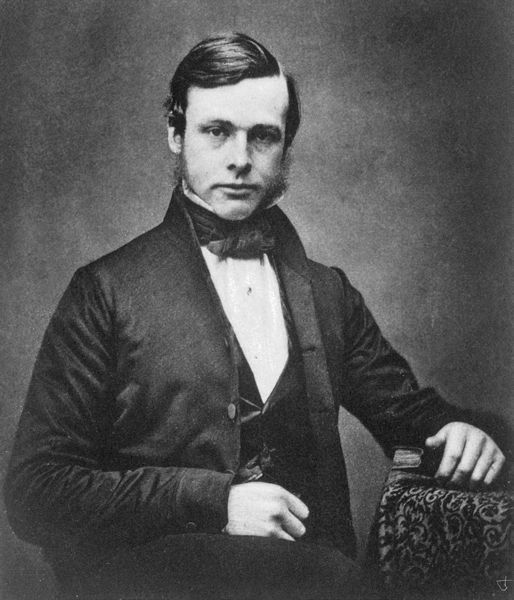 Joseph Lister: Joseph Lister was one of the first to use aseptic techniques during surgeries. The degree of acceptable microbial presence can differ based on the circumstances. Sterilization as a definition means that all life was terminated, whereas sanitization and disinfection terminates selectively and partially. Both sanitization and disinfection reduce the number of targeted pathogenic organisms to what are considered “acceptable” levels – levels that a reasonably healthy, intact body can deal with. In general, surgical instruments and medications that enter an already aseptic part of the body (such as the bloodstream, or penetrate the skin) must be sterilized to a high sterility assurance level (SAL). Examples of such instruments include scalpels, hypodermic needles, and artificial pacemakers. For example, medical device manufacturers design their sterilization processes for an extremely low SAL. Their “one in a million” devices should be nonsterile. This is also essential in the manufacture of parenteral pharmaceuticals. Preparation of injectable medications and intravenous solutions for fluid replacement therapy requires not only a high sterility assurance level, but also well-designed containers to prevent entry of adventitious agents after the initial product sterilization. Food preservation is another field where the presence of microorganisms is taken under consideration. The process usually involves preventing the growth of bacteria, fungi (such as yeasts), and other microorganisms (although some methods work by introducing benign bacteria or fungi to the food).